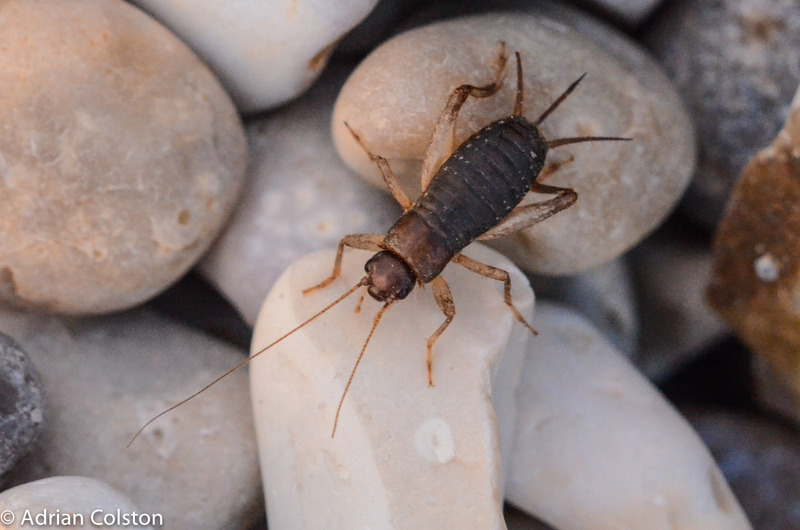 Back in February this year I wrote a blog about the impact of a huge storm called Hercules on the beach at Branscombe and the impact this might have had on one of Britain’s rarest animals – the scaly cricket. 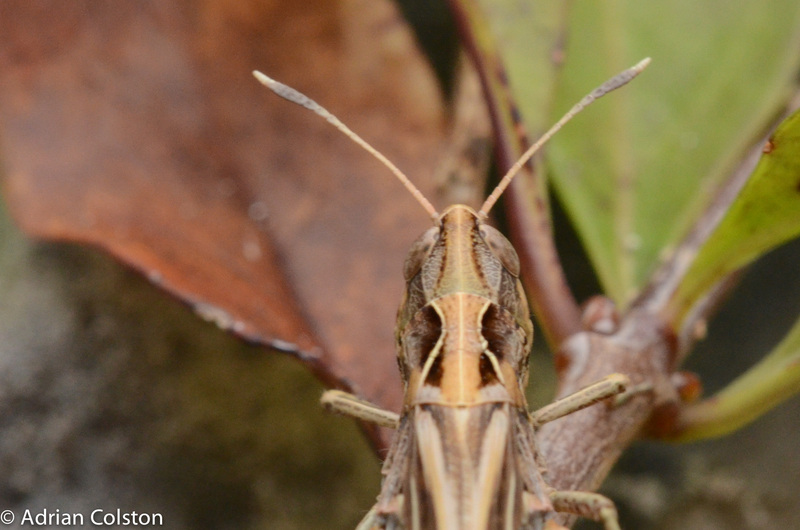 Yesterday I described how I was setting out to discover if the scaly crickets had survived. 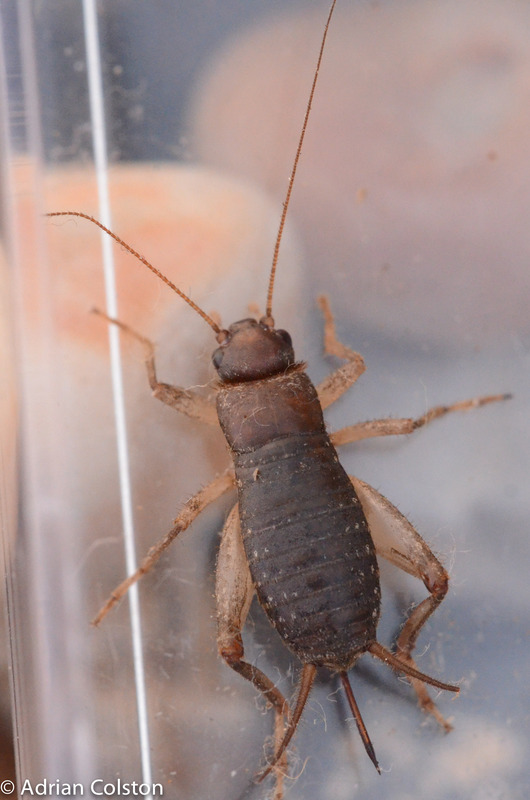 Well today I checked the pitfall traps I set yesterday along with a few few colleagues and we succeeded – 2 of the 24 pitfall traps contained 4 scaly crickets – all adult females – in addition three other adult females were seen scurrying around the traps. 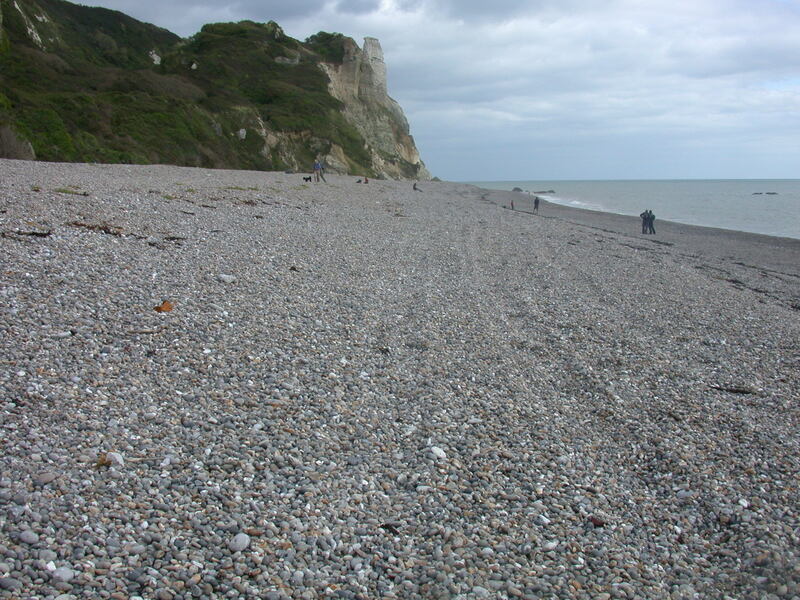 Unfortunately all the pitfall traps at the Branscombe end of the beach had been pulled out of the shingle – presumably by seagulls after the Cornish pasty fragments – so I will have to go back again later in the month to try that area again but finding 7 adult females further along the beach was brilliant. So here are a few pictures of one of Britain’s rarest animals – the ones that beat Hercules! 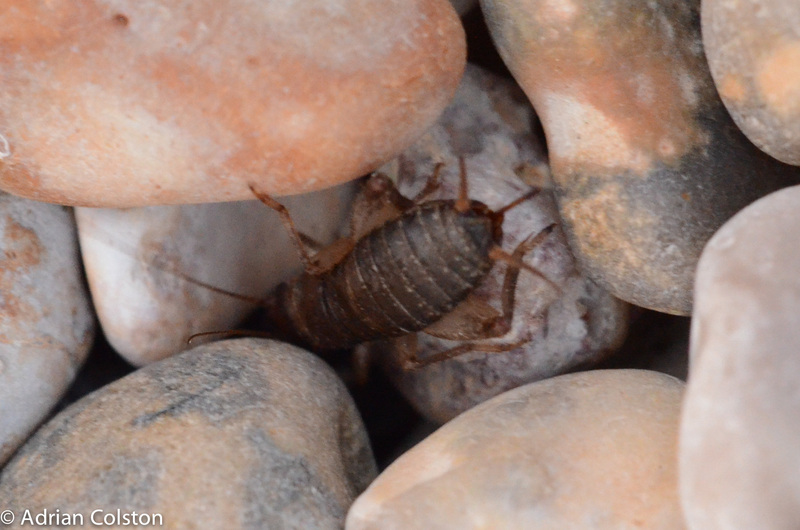 Female scaly cricket on Branscombe beach! 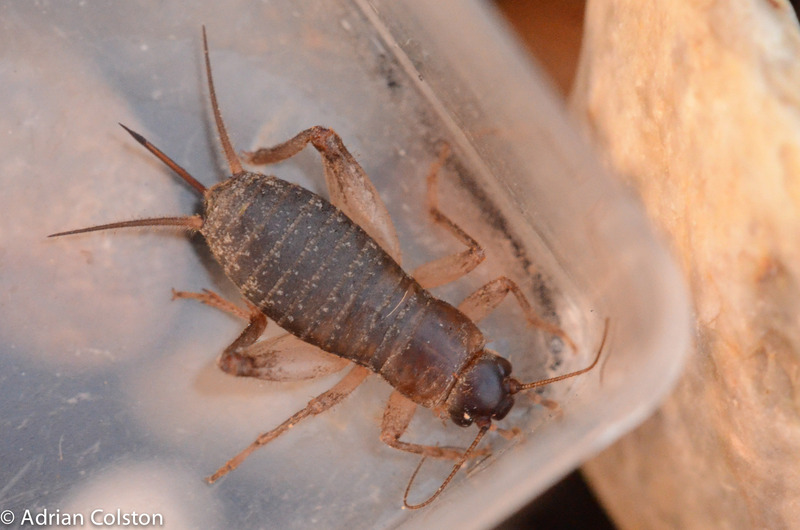 My photography last tonight was nearly a disaster – the first cricket we caught jumped out of my collecting pot before I could snap it – fortunately 10 minutes later we found this female at another pitfall trap – I made sure this time I got a photo before she hopped off! 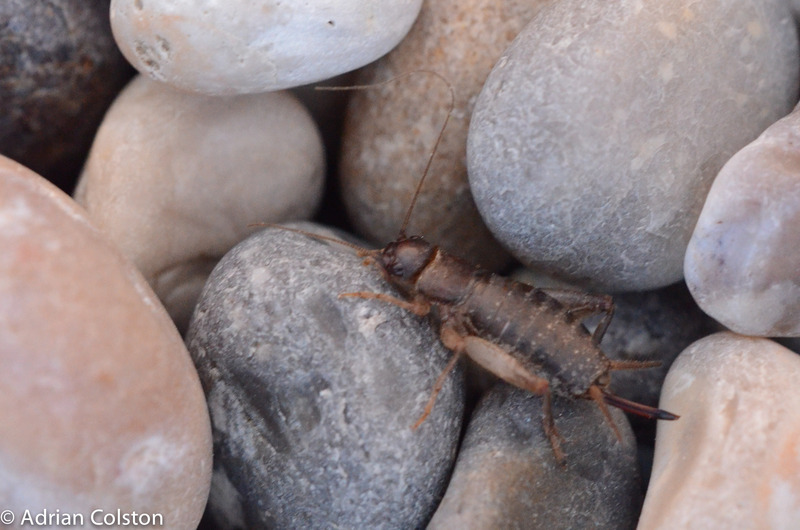 I went down to the National Trust’s Branscombe beach yesterday to start the process of surveying for one of the rarest animals in the UK – the scaly cricket (in my capacity as the voluntary county recorder for orthoptera i.e. 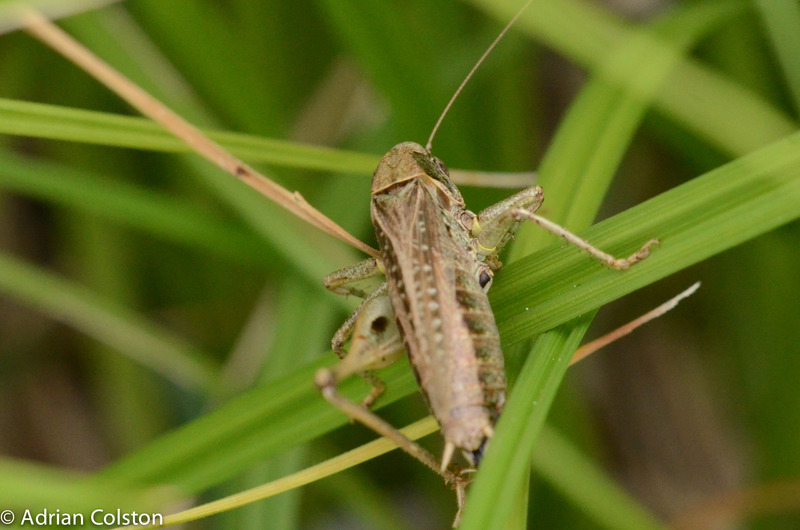 grasshoppers and crickets etc). Last winter the beach was hit by a huge storm which completely reprofiled the shingle banks on the beach and scoured out parts of the cliff. 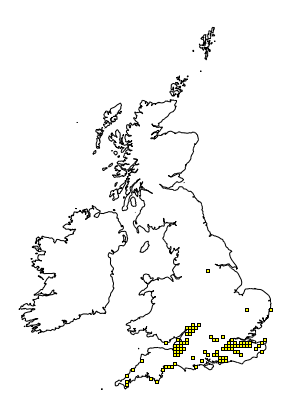 The survey I set up yesterday is an attempt to discover how the scaly cricket is faring. I set 24 pitfall traps along different parts of the beach and each was baited with a bit of Cornish pastry! This is a repeat of a survey I conducted a few years ago – see here and here. 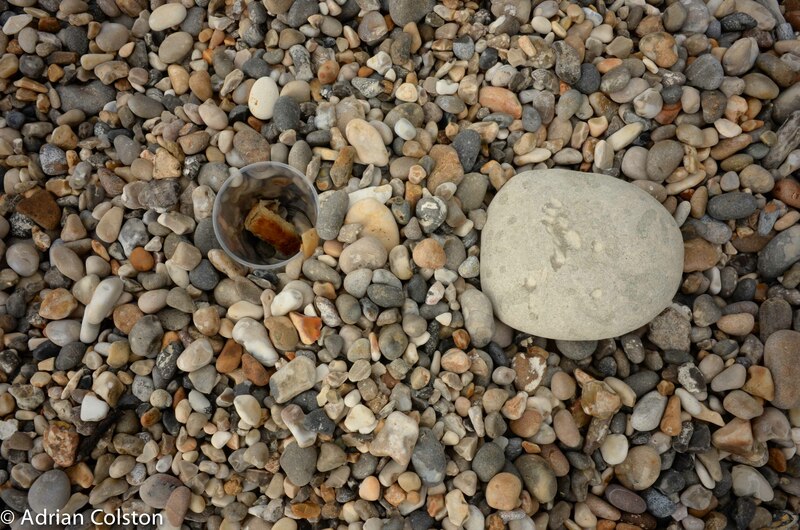 Pitfall traps are quite simple – a small plastic cup sunk into the shingle – the idea being that a cricket wanders along and falls in – it then has some pasty to eat to keep it sustained. 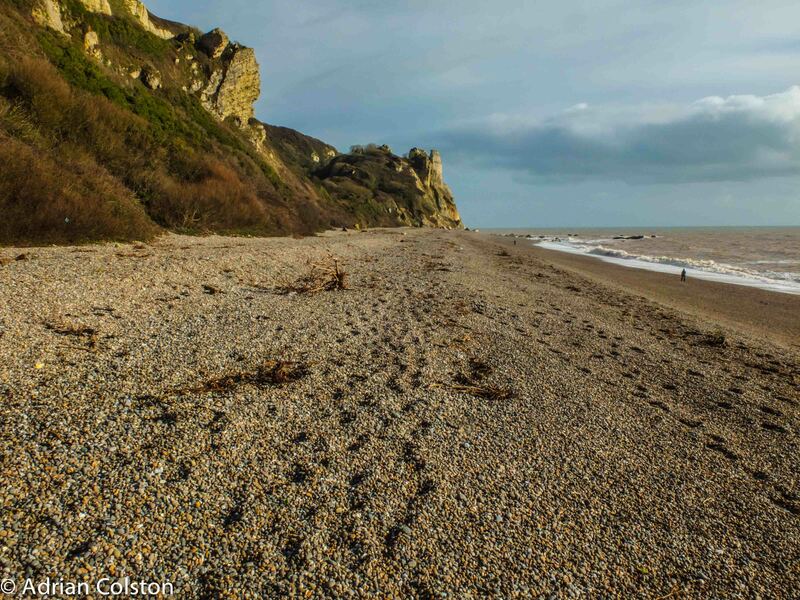 I will be returning to the beach at Branscombe with some colleagues from the National Trust and Natural England this evening to check the traps and see if we have caught any crickets – please note – any crickets that are caught will be returned to the beach unharmed! 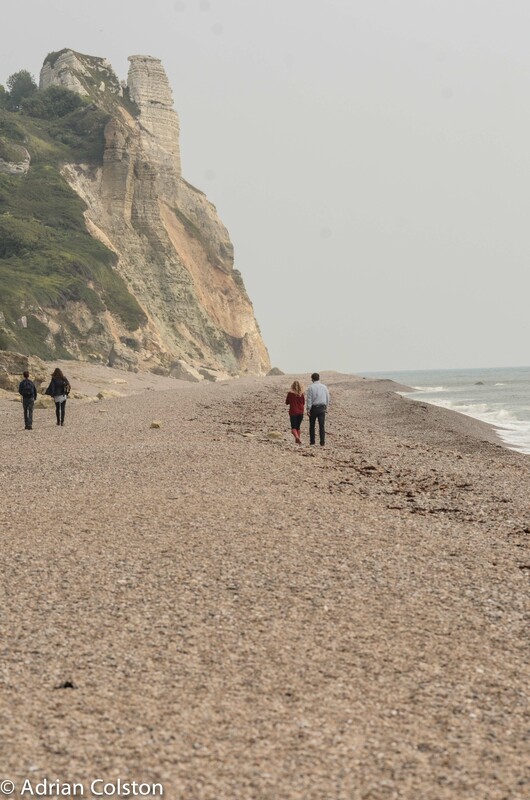 The under cliffs at Branscombe are also nationally renowned as a fabulous place for a host of other rare animals and plants and are well worth exploring in their own right via the network of paths through and above the cliffs. I managed to find and photograph a couple of the special species there. S0 – back to Branscombe this evening and an update on our findings tomorrow. As well as being the General Manager on Dartmoor for the National Trust I am also the county reorder for orthoptera in Devon! 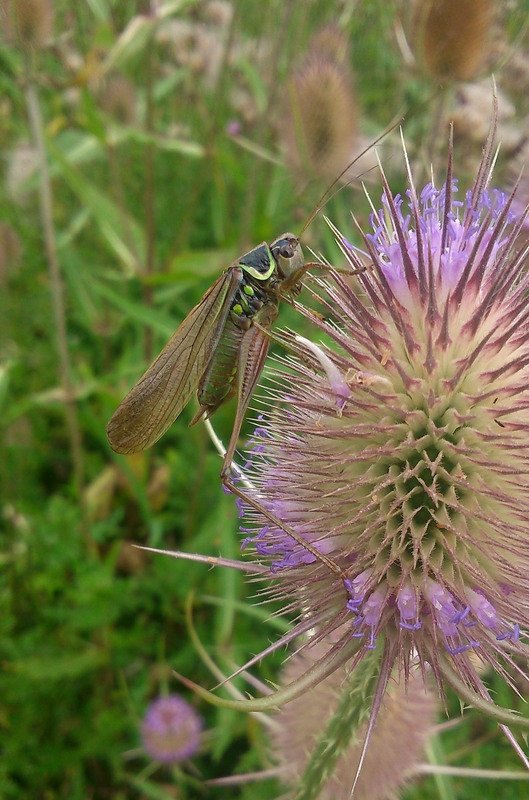 These animals include grasshoppers, crickets, bush crickets and earwigs. I can hear you thinking – really? – I never know such a role existed and so what! 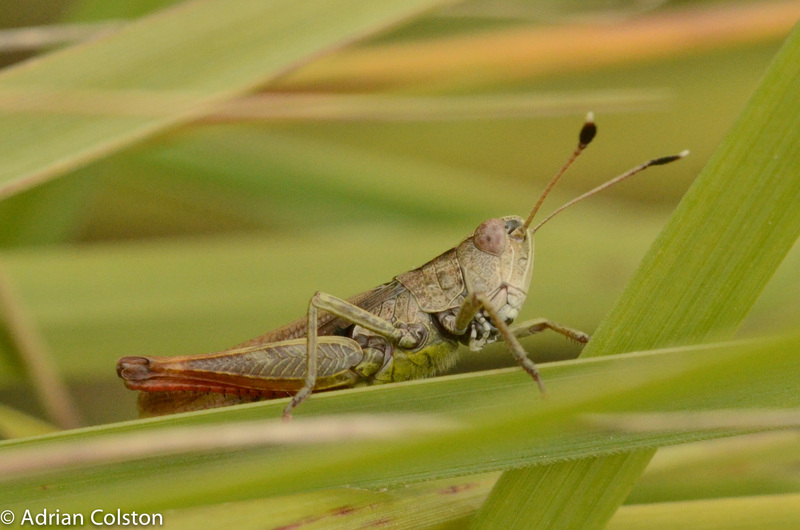 Well amongst the role call of Devon’s orthoptera is one of the rarest animals in the county – the scaly cricket -only know from two other places in the UK. 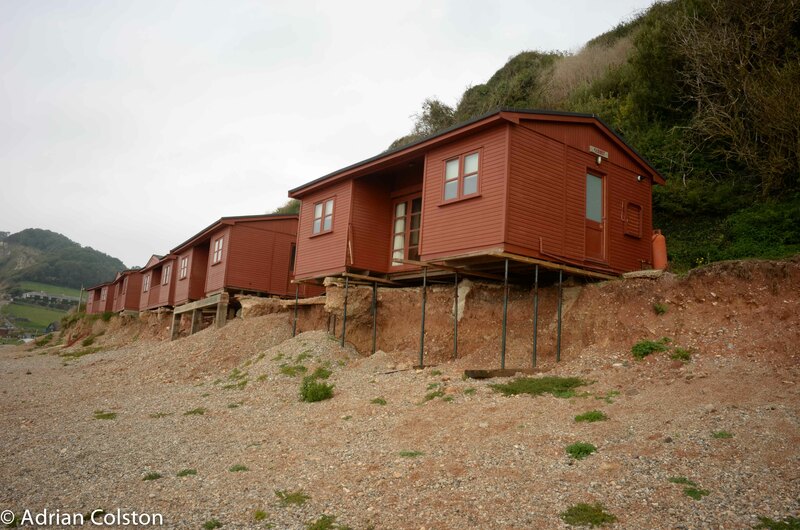 In Devon it survives on the shingle beach at Branscombe. In 2008 I wrote about this little beast as there was concern about its fate after the container ship the Napoli grounded just off shore at Branscombe and all its cargo along with thousands of ‘wreckers’ ended up on the beach. 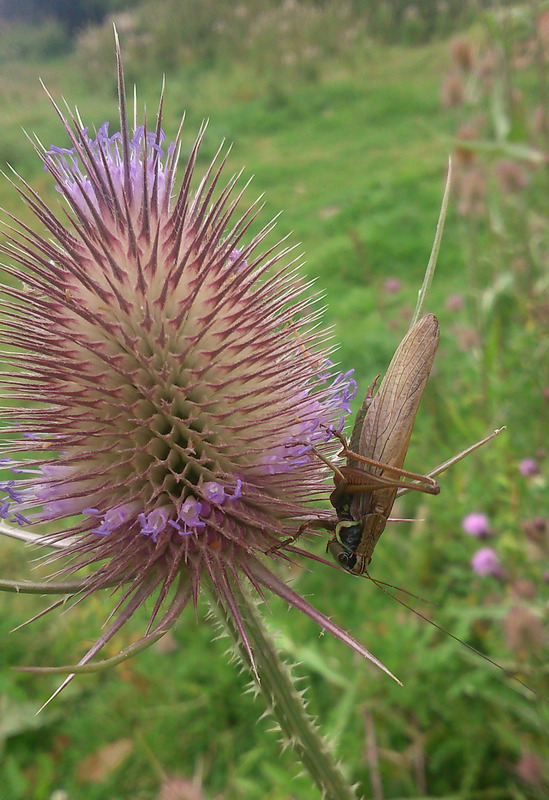 The scaly cricket survived that after I refound it – tempting one into pitfall trap with a Cornish pasty! See here and here for further details. Well in the last few weeks the coasts of Devon and Cornwall have been hit by two huge storms: Hercules and Hercules 2. 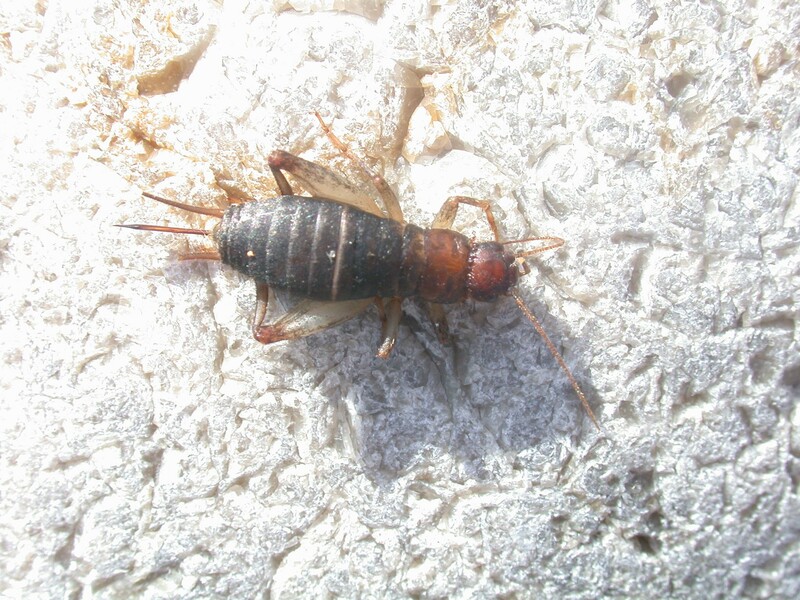 I had been recently informed that ‘all the shingle at Branscombe had gone’ and as a result I was concerned again about the fate of the scaly cricket. And here is the same area in February 2014. 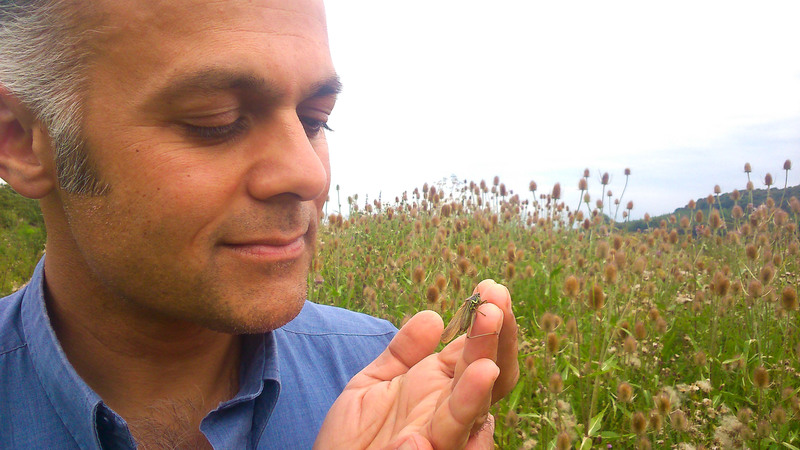 Lets hope the scaly cricket is still around – I am pretty confident it will be. Whilst David beat Goliath I am hoping Hercules hadn’t targeted the cricket, if he is true to form he took on much bigger beasts and left the little ones alone.